Hold your breath girls! 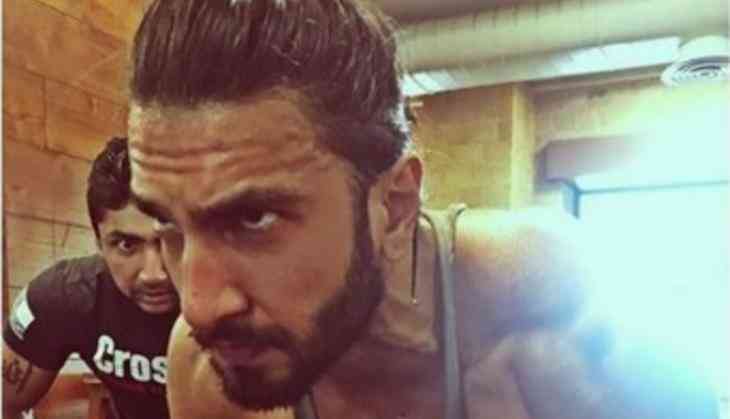 This new avatar of Ranveer Singh is surely going to get you crazy. The actor, who has been on a strict fitness regime for his upcoming flick 'Padmavati', shared a picture of himself clicked while working out. He posted the photo on Instagram and captioned it as, "Hustle don't stop #mondaymotivation by @mustafa_max84." In the magnum opus, the 'Befikre' star will be seen playing the role of a fierce warrior Allaudin Khilji, who is also the main antagonist in the film. Helmed by Sanjay Leela Bhansali, the movie also stars Deepika Padukone and Shahid Kapoor in pivotal roles.